Inspiration for the Venetian Lace Bracelet & Ring comes from the historic lace worn by the elite of Venice. 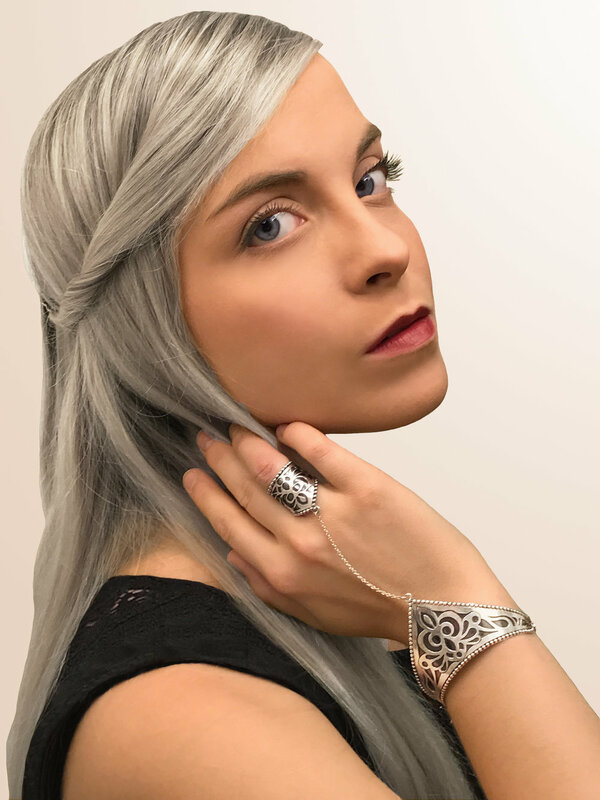 This bracelet and ring set are cut, forged and fabricated completely by hand. 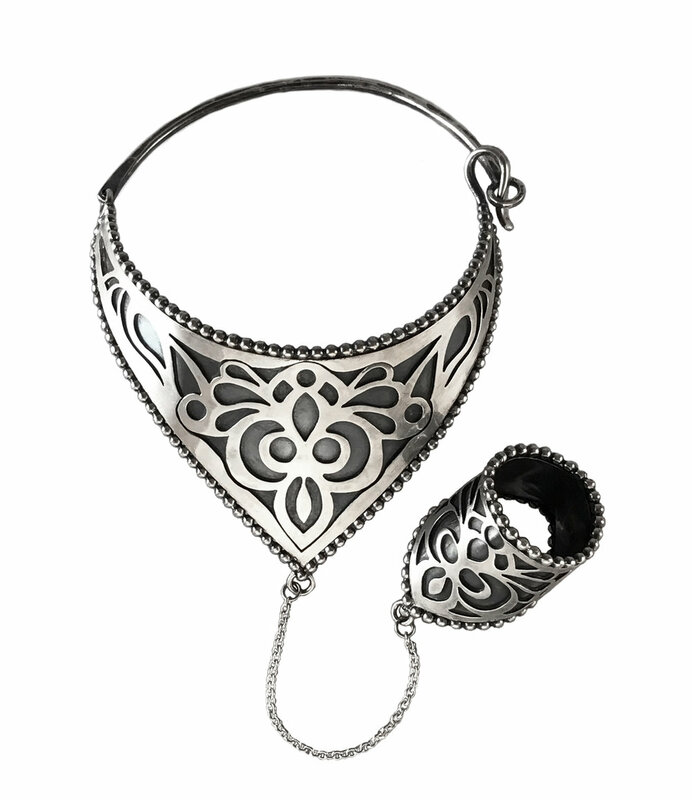 The two are linked by a sterling silver chain, giving the piece an antique, regal look truly fit for a queen. The ring can be worn conventionally on the index, middle or ring fingers, or worn as a midi ring.